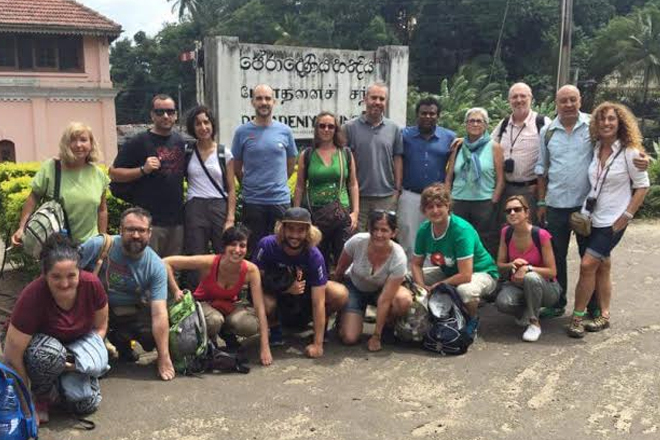 (Media Release) Intensive marketing of Sri Lanka as an ideal destination for nature and adventures tours by Aitken Spence Travels has attracted a leading specialized tour operator from Spain to send two tourist groups to Sri Lanka this month. The groups’ tours in Sri Lanka were handled by Aitken Spence Travels, Sri Lanka’s leading destination management company. The Spanish tour operator who specializes in nature and adventure, offers such tours to most parts of the world from Spain. Its Product Manager, Mr. Javier Ludena Fernandez said “Sri Lanka and its people have been a beautiful surprise. We are confident of moving more clients to the country in the coming months”. With the commitment towards offering sustainable tourism, Aitken Spence Travels is endowed the Carbon Neutral status by the Sri Lanka Carbon Fund and maintains ISO 9001:2008 and 14001:2004 certifications.